Dr. Melissa Lesniak will speak about the MusicReach Educational Outreach program offered at the University of Miami on Wednesday, Jan. 18 at 12:30 p.m. at the Dassance Fine Arts Center. The program mission is to promote healthy individuals and communities through the study, education, and performance of music throughout all cultures. 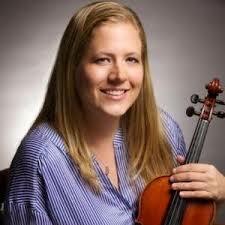 Please join Dr. Melissa Lesniak as she shares how students of this program become mentors, teachers and role models through the experience of music. On Thursday, Jan. 19 at 1 p.m., a “behind the scenes” lecture and demonstration will be held at the Dassance Fine Arts Center for “Of Ebony Embers” that will be performed at 7:30 p.m. The lecture discusses the inspiration from jazz greats Duke Ellington, Thefonious Monk, and Charles Mingus, concert music composers Jeffrey Mumford and George Walker, and three outstanding but different African American poets – Langston Hughes, Countee Cullun, and Claude McKay – as seen through the eyes of the great painter and muralist Aaron Douglass. 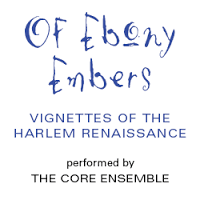 To purchase tickets to the performance “Of Ebony Embers,” please visit the CF Box Office.